December 1880, a young girl named Margaret is left on the door step of an orphanage,in her arms a doll, the only possession apart from her clothes. Mistreated from the beginning by the head nun and all the other children for not being able to talk, her anger was released by taking the other girls dolls and destroying them one by one. When the Nun found out on the eve of Christmas, she was shouted at and humiliated in front of all the other children. Margaret's rage led her to carry out a terrible act – she started a fire in the building. The fire spiralled out of control. A terrified Margaret headed to the basement to hide with her doll. Seconds later the burning building collapsed leaving her trapped in the basement with no where to go. Many years later a house was built in the land where the orphanage once stood …..
November 1980: a family move into this house. The perfect family it would seem. However Victoria and her twin brother William were treated very different by their parents. William was their blue eyed boy, he could do no wrong in their eyes and was spoilt rotten, while Victoria seemed to be forgotten about. December 1980: On their birthday William opened the present he had wanted for so long – an Atari console. 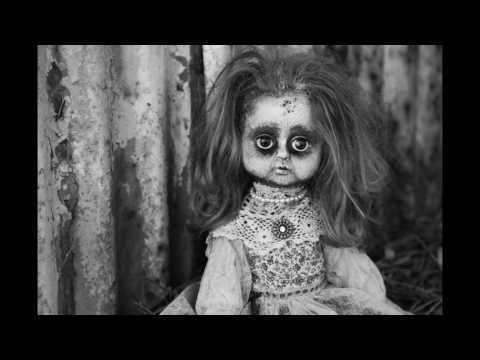 Victoria, however was given an old dirty doll that her mother had found in the basement. The state of the doll didn't bother Victoria, she seemed to fall in love immediately and have a strange connection with this doll unlike no other. Day by day Victoria seemed to change, confidence growing. Almost as if she was being influenced, but by who? Christmas Eve: Years and years of being pushed to the side in favour of her twin brother, Victoria took some advice by her one and only friend. The doll she had named Margaret told her the only way to change things and put a stop to the unfair treatment was to burn her house down to the ground with everybody still inside!!! Present Day: Can you make it out before Victoria and her possessed doll burn you alive??? you have a mission: enter the house, get to the basement, retrieve the doll and release Margaret's soul before she burns you all alive! I had no idea what to expect from my first escape room experience but was delighted from start to finish. Immersive story. Would definitely recommend it. Amazing escape room, a bit creepy but would recommend to anyone! 4 of us played Possessed Doll and totally loved it! It was full of excitement throughout. It really was a fun 60 minutes. The hosts were welcoming. Won't go into any further details though as don't want to spoil it for anyone. Book this up!!! One of the best I've been to. You definitely won't regret it. Excellent service and fantastic theme. Me and my team really enjoyed this. Definitely recommend visiting Possessed Doll, if you don't mind being scared and up for a challenge in London. Great for a group of friends or cousins or a team from the office. Amaaaazing place with a brilliant storyline. Great attention to details. Everyone's gonna enjoy this place and appreciate the atmosphere there. Very well done!